It’s only been about a year-and-a-half since we got a look at how good a yuri-ish spy anime can be, thanks to the excellent Princess Principal, and here we are again with another anime about teenaged spies, yet Release the Spyce just can’t compare to the adventures of Ange & Co.
First off, the story of RtS is a pretty underwhelming effort that doesn’t stray far from the tried-and-true spy formula, but unlike a lot of spy fiction, I’d say that this story commits the cardinal sin of simply being a little boring. The battle between the secret organization that serves as the defenders of good (Tsukikage) and the evil crime syndicate that’s looking to take over the world (Moryo), plays out in very mundane fashion all the way till the end, and thanks to the failure of the story to progress in a meaningful way, even the finale doesn’t feel like much more than a set-up to a potential second season. One bright spot of the story was the fourth episode, which focused on the relationship between Mei and Fuu, and aside from the obvious yuri undertones, it did a pretty good job of exploring their history and fleshing out both characters. To a lesser degree, Hatsume and Theresia got a similar treatment, yet I don’t think it turned out quite as well as Fuu and Mei’s episode. Another positive is the comedy, which I think consistently delivered some laughs, but a few more opportunities would’ve been nice. As bland and lifeless as the story was, the characters were a bright spot for this anime, and it just so happens that there was a pretty good amount of yuri in this show. Momo checks every box that you’d expect a main protagonist to check, and once she sets eyes on Yuki, she’s enamored. Momo eventually becomes Yuki’s apprentice, and thanks to Yuki’s demanding training (it’s not easy being a badass spy), she eventually becomes a capable spy. The strong mentor/pupil relationship of theirs isn’t the most ideal or romantic, and simply because of what type of anime this is and because of Yuki’s serious personality, there aren’t a ton of opportunities for cutesy moments between the two. At least Momo’s suggestive talent of licking people to discern their wellbeing produced a few interesting moments, and, of course, the scene in the final episode was super sweet and one of the highlights of the season. I already mentioned how Fuu and Mei had the best episode of the season, and of all of the different pairings, these two seem the most like an old married couple. One minute they’re bickering, the next minute they’re getting along famously, and unlike some of the other pairings, these two both have a lot of personality, and they seem like normal people. Thanks largely to their episode, I suspect that Fuu and Mei are the most popular ship of this anime, and it’s pretty easy to understand why. Hatsume is involved in not one but two ships, with Goe and Theresia, respectively. We actually get to see more of Theresia’s backstory than Goe’s, and while both get plenty of screentime with Hatsume, I felt like Goe’s time was more substantial. That heartfelt embrace she shared with Hatsume late in episode seven was all kinds of sweet, and it was interesting to see her get jealous when Hatsume was devoting so much time to Theresia. From a personality standpoint, I wasn’t really thrilled with either Goe or Theresia, but Hatsume is another story. Not only is she adorable, kind, and friendly, she’s also pretty much the equivalent of Q from the James Bond franchise, so needless to say, she was my favorite character in this anime. And then there’s Byakko, who, despite not getting a ton of screen time, became one of my favorite characters in this show. It seems it’s always the tiny girls who are the fiery ones, and Byakko is no exception. As for the others, I thought that neither Tendo nor Dolte were that great (especially Tendo), and in general, I thought that the villains in this anime left a lot to be desired, and I’m not just talking about those faceless higher-ups of Moryo that never emerge from the woodwork. So that’s four legitimate ships in this anime, and I think that helps make up for the fact that while these girls are likable, I wouldn’t say that they’re so likable that they can make up for the disappointing story solely with their charm. Still, they’re one of the bright spots of this anime, and even though the show could’ve done a much better job of developing the main cast into really engaging characters, I don’t think many viewers will cite them as a much of a problem. Visually, it’s easy to see the influence of Namori, who served as the original character designer. Despite the fact that this is coming from a studio that has yet to touch the Yuru Yuri franchise, Lay-duce, (but soon will), this bears an uncanny resemblance to YRYR. The Momo/Akarin as well as the Fuu/Chinatsu comparisons are obvious, and the patented cuteness that’s associated with Namori’s character designs will immediately feel familiar to viewers, yet I don’t really mind, and that’s not necessarily a bad thing. Where I feel like Release the Spyce does run into a bit of trouble is during the action scenes, which—compared to most other action anime out there—aren’t very impressive. If you view this as a cute girls doing cute things anime, then that’s a different story, but when viewed strictly as an action anime, the one-on-one battles were pretty underwhelming, the designs of the robotic enemies were uninspired, and the combat in general was ordinary. 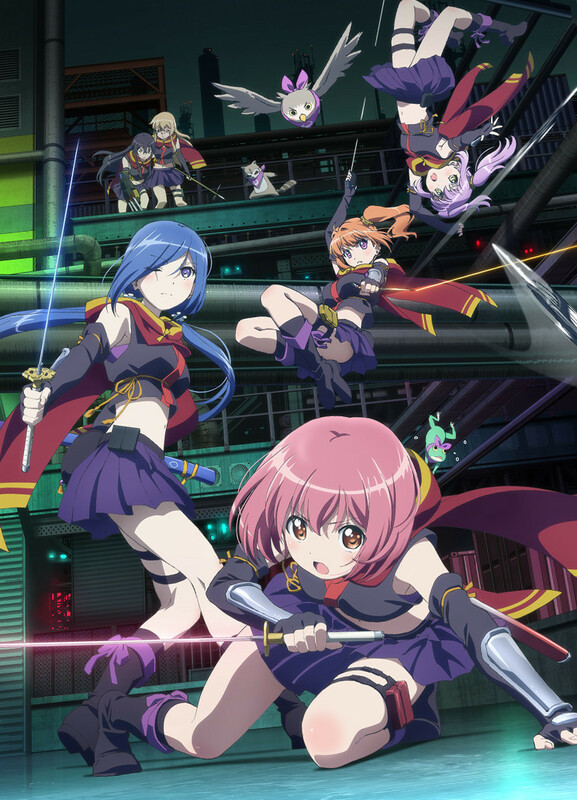 Unlike Princess Principal, Release the Spyce is a disappointing spy anime that somehow makes spy activity seem a little boring. 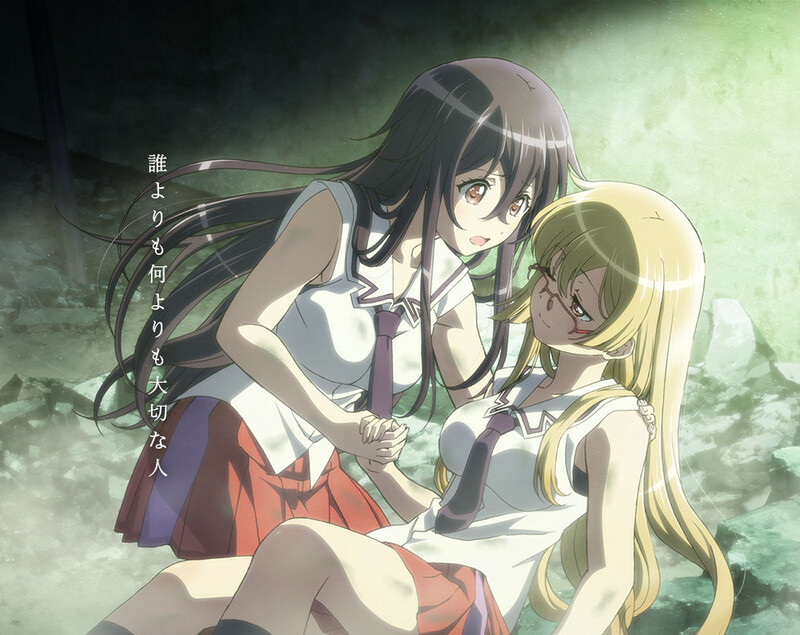 The characters may be entertaining, and the yuri definitely helps this show out, but at the end of the day, it still feels like this anime is simply going through the motions, and that’s really unfortunate. 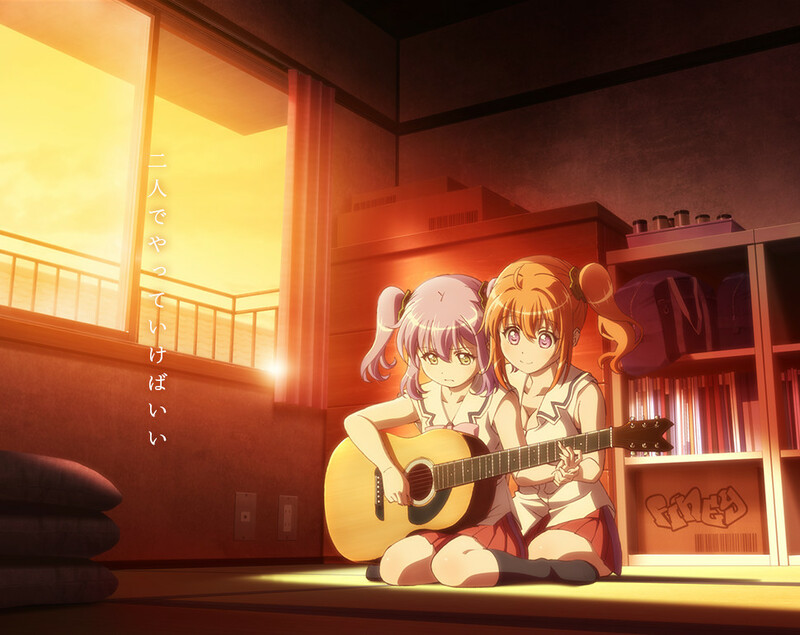 This entry was posted in Anime, Anime Review and tagged Release the Spyce by Rock The Vogt. Bookmark the permalink. Still that leads me to a question for you: You mentioned episode four and twelve as worth watching, but they would be fairly out of context by themselves, so are there any other ones worth watching from a yuri and character building point of view? Just wondering if some subset of the episodes might work as a mini version of the show? But to answer your question, I think episode four could stand on its own. The episode is split between some flashbacks involving Fuu and Mei, and, in the present, the story in that episode doesn’t hardly carryover from previous episodes, so you shouldn’t be missing out on any important info. I think if this was just a mainly comedy show that parodies spy movies with some fun action that didnt take itself seriously I would have quite liked it, but it tried to be alot of things at once and the serious aspect of the show really missed the mark. Fuu and Mei were pretty cute, but the other pairings were…fine I guess. Compared to the other gay spies show this one was quite disappointing.